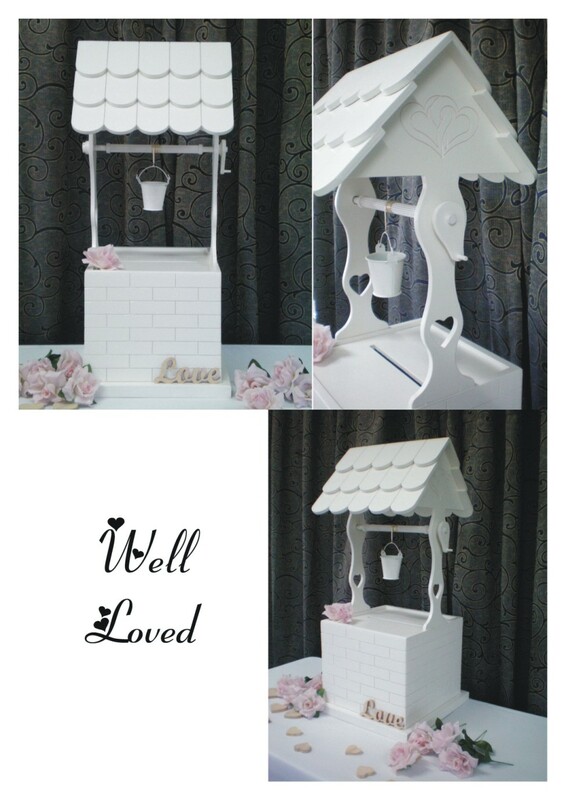 Well Wishes is a product offering from Variety for Windows based in Malaga, WA. 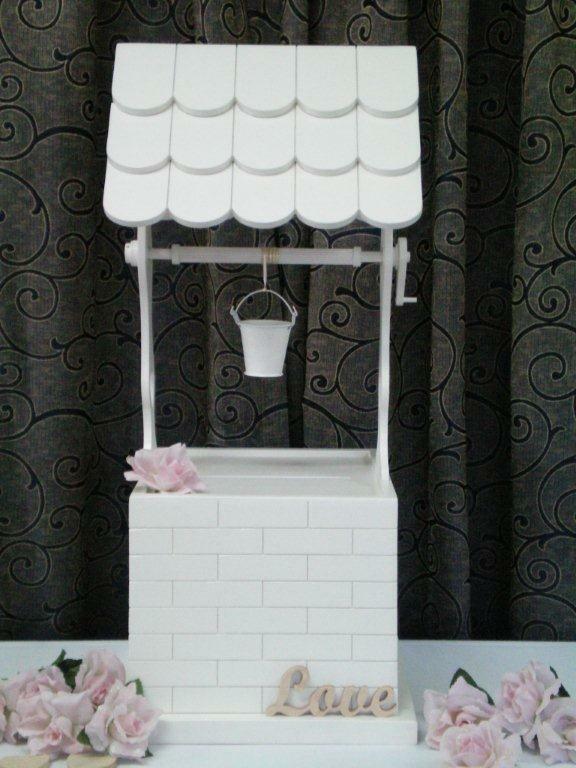 One of our many specialties are undoubtedly, our unique Wishing Wells available for hire in Perth. 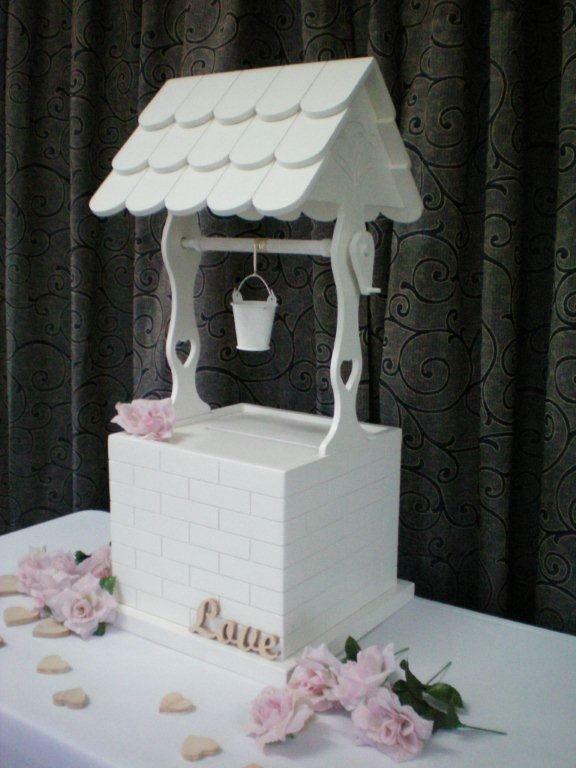 No matter your occasion, a Well Wishes well can help make your wishes come true! 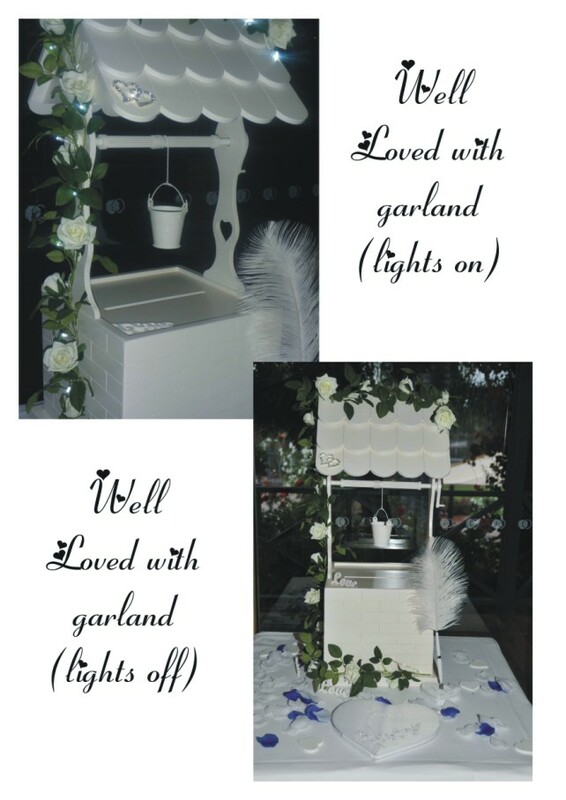 We are a family run company and truly understand just how important your occasion is and how personal touches can add an extra little bit of sparkle. It's this understanding that gives us the inspiration to hand make and design each of our wells with special care and attention. 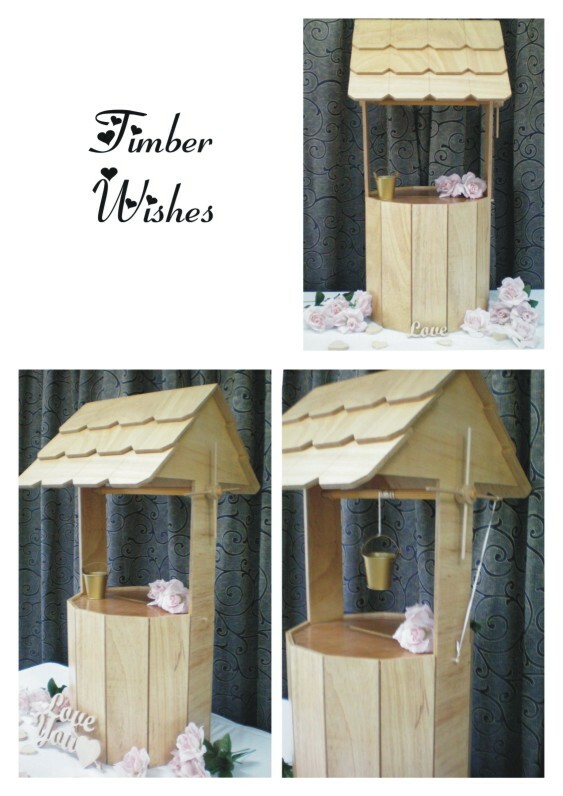 Each of our Wells has been designed and created right here in WA and we promise, you won't find anything as pretty as a Well Wishes Well anywhere else. 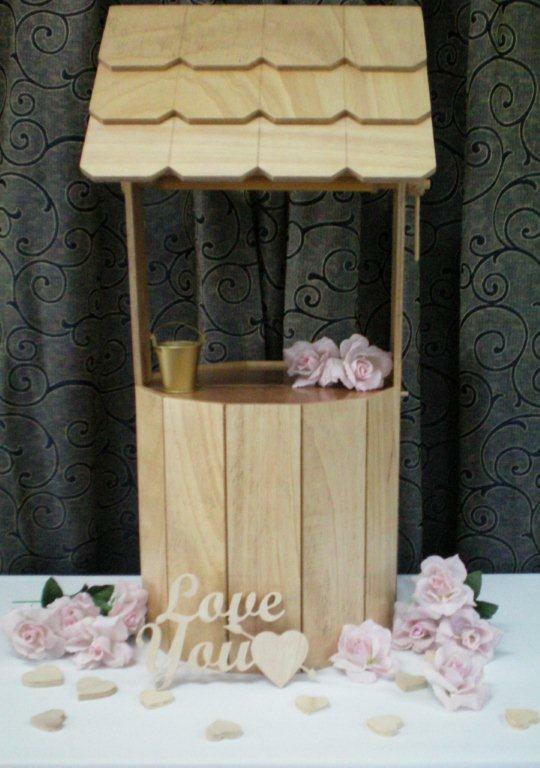 Well Wishes Wells are available for hire for $100.00 (Customer collect and return). We keep our wells as neutral as possible but coloured decorations and trimmings are available from $10 or if you'd like to provide your own trimmings, please don't hesitate to bring them in and we'll dress it up for you. Payment is due 7 days prior to your event. As each of our items have been hand made with lots of love and care, we also require a $100.00 refundable security bond (refundable providing the well is returned the next following day and in the same condition it was delivered/collected in). 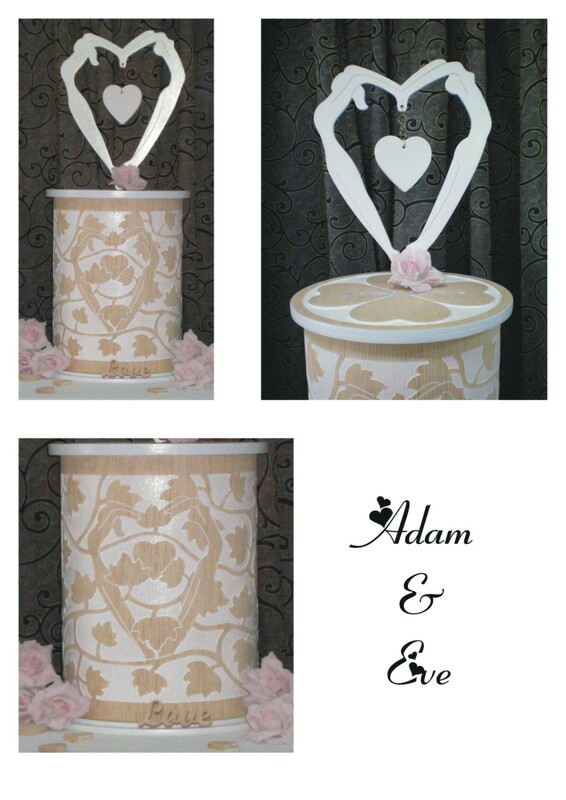 We can also offer you incredible personalised accents to the Well of your choice - the possibilities are endless! 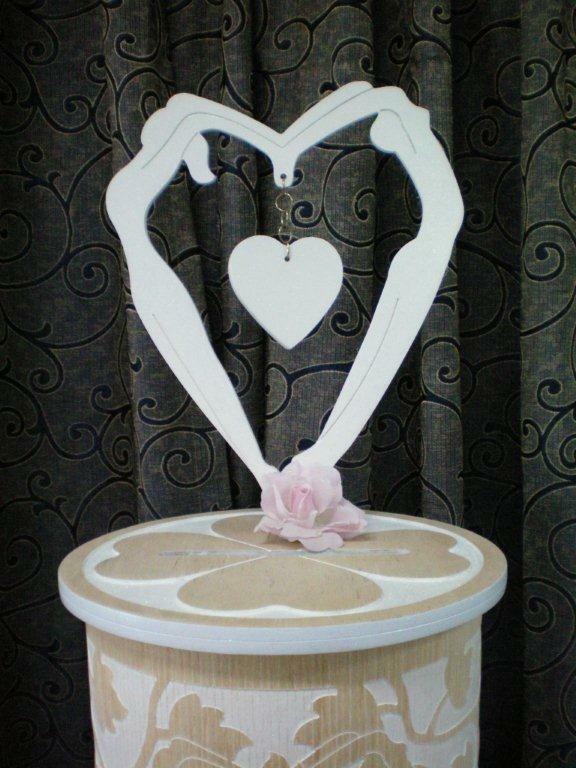 And don’t forget, we can do personalised name cut outs which make a great keepsake too. 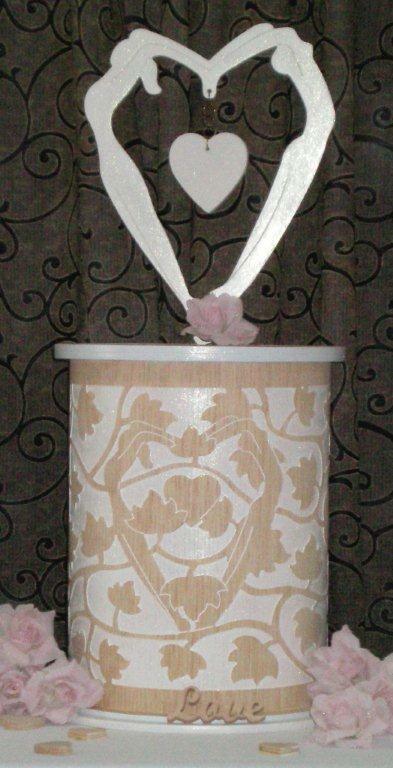 Please click here to enquire for pricing as these vary depending on size and requirements. And don’t be afraid to ask if you have any special ideas. 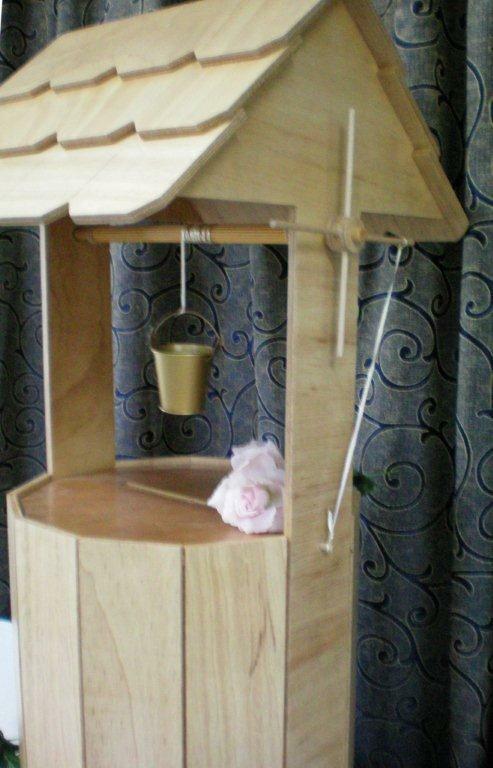 There’s an awful lot we can do with a little bit of wood and after all, it's your special occasion not ours – we’re just here to help.